Application: After cleansing and drying your face, brush the Brow & Lash Accelerator Treatment Gel onto your lashes and/or brows. Leave on all night. 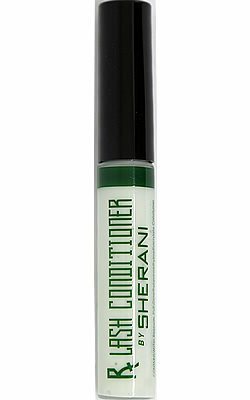 How to use on eyebrows/eyelashes? You just apply it like mascara with the brush "wand" over your lashes. As for the brows you just put it in the area(s) where you need growth like a brow pencil. It's pretty easy to use and this product does work. What is the difference between Ardell Brow & Lash Growth Accelator and Ardell Lash & Brow Excel? Like Ardell Brow and Lash Growth Accelerator, Ardell Excell is formulated with a concentrated serum of muiti-proteins and conditioners Works to immediately to repair weak lashes and brows. In additional it has specially beneficial protein peptides in high concentration of all actives such as glycogen, glycoprotein and proteins to accelerate and strength the lash and brow growth. About how long is the applicator brush bristles? The enclosed mascara like brush wand is about 1/4" inches. What do eyelash serums actually do to the lashes? Ardell Brow and Lash Growth Accelerator are manufactured to improve the length and density of your own natural lash. The combination of vitamins and strengthening peptides creates an impressive cocktail that enhances both your eyelashes. When you apply it to the area it is absorbed into the skin, and conditions the hair folicles that are in the growth phase. 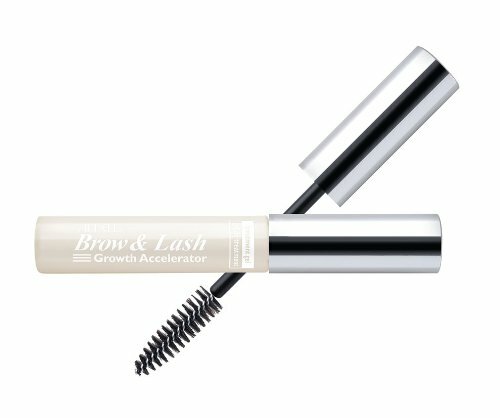 Any tips for applying lash and brow accelerator serum? You should only apply this in the morning and night. Do not overload the product because they are concentrated so less is more. You use it every day until you get to your desired look which, with most people this is two to three months. At this stage you would only need to use it twice to three times a week for maintenance. Does this lash and brow accelerator really work? How long do I see result on eyelashes? It works for as long as you are using it. Everyone is different but it typically take 2 weeks to 2 months to see results due to the natural lash/brow shed cycle. Once you started seeing results, you will kept seeing results. We recommend using the lash and brow serum every morning after you shower and evening before you go to bed. Warning: For external use only. Use product as directed. If product inadvertently gets into eyes, rinse thoroughly with water. Discontinue use if irritation occurs. Keep out of reach of children. Eye cosmetics in a scratched, infected or irritated eye, and scratches from eye cosmetics can lead to eye damage and in extreme cases even blindness. If your eye is scratched, infected or irritated, stop using all eye cosmetics and go to an eye doctor immediately. To safeguard purity, this product should be for your personal use only. Treat the applicator with the same hygienic care you give your eyes. Never apply this product in a moving vehicle. Cap tightly after use. It definitely helped my eyebrows and eyelashes grow in thicker. I think this formulation works because it contains castor oil which is essential for the skin and hair. 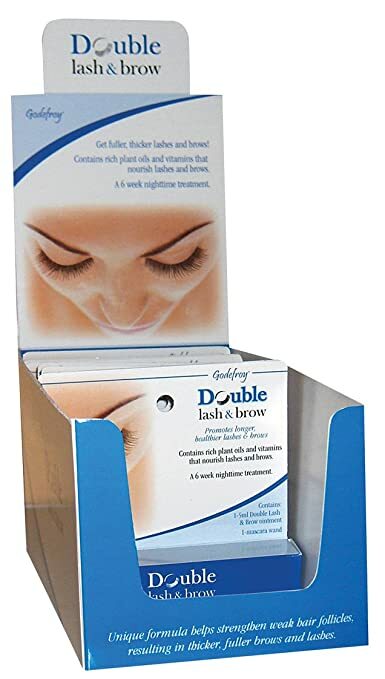 Ive used the product and started noticing my eyelashes getting longer and thicker within 5 weeks. Didnt do too much for my brows though but they are GREAT for lashes! Awesome product! Been using for 2 weeks and its fantastic results! Lashes turned longer and fuller...i don't even need volume mascara anymore!?! Just a regular mascara and it looks so long and full..I am introducing this product to my customers here.. This stuff is AMAZING!!! I saw a difference in about 3 weeks. My lashes are significantly longer and fuller. Even my eyebrows are fuller! My eyelashes were longer in less than 2 weeks! :] I do have a spot in my lash line that is full of thin lashes though. Maybe I missed a spot? Anyways, this lady I know was bragging about Revitalash ($150!). I am missing a few lashes off my left eyelid. After applying this treatment gel for just two weeks, I could see the difference! Now my lashes are thicker. Ardell Lash Growth Accelerator an amazing product for its price.